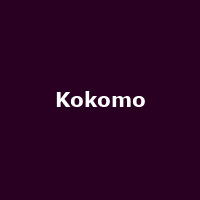 Kokomo are a British soul/ funk band formed in May 1973 by Tony O'Malley and Terry Stannard (both ex members of the pop group Arrival). The band released their debut eponymous album in 1975, followed by "Rise & Shine" in 1977 and 1991's "The Collection". The band split in 1991, reforming in 2014.